You are here: Home / Blog / Lucy Findlay's Blog / An inequality crisis – how do we spread the wealth? An inequality crisis – how do we spread the wealth? The audience at our recent annual conference were universally shocked to hear from our keynote speaker Erinch Sahan (of the World Fair Trade Organization), that just 8 wealthy individuals now own the same wealth as the world’s poorest 3.6 billion people. In 2010, 388 billionaires owned as much as the poorest half of the world’s population, in 2012 this had gone down to 159, and by 2015 just 62 billionaires! 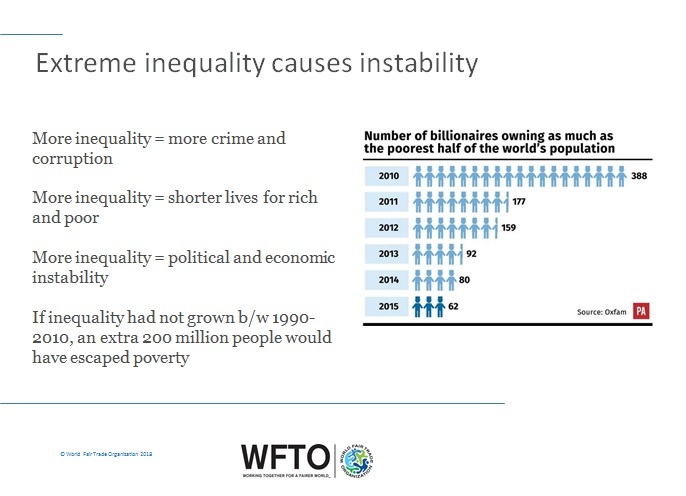 He also highlighted that extreme inequality leads to political and economic instability, shortened lives (for rich and poor) and a rise in crime and corruption. In the face of all this evidence of the effects of the increasing intensity of inequality, why are we not doing more? There doesn’t appear to be any great sense of urgency from the powers that be and yet this is a fundamental world changer. Put this alongside the urgent issue of climate change (which exacerbates these figures) and we have a recipe for disaster for world peace and prosperity. Whose job is it to take action on this? With current world-wide alliances being undermined on a daily basis it is hard to see who has the power or will to lead. Political parties are also often too short-term in their outlook. I would also be naive not to recognise powerful vested interests too. There does at least seem to be wide scale awareness of the problem (with ¾ of people thinking that the gap between rich and poor is too great), if not the full extent of it, and this prompted us to question how we can all up our game to take action as part of our conference discussion. 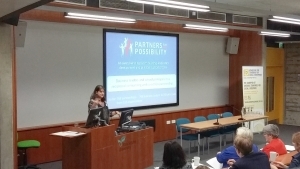 A potential solution that emerged from the conference was the idea of true partnership and collaboration between big business and public/third sector to bring about positive social change. Louise van Rhyn from Partners for Possibility in South Africa spoke about their innovative programme, which demonstrates how reciprocal learning partnerships between business and community can be a powerful force for change. The key for me in this example, however, was the recognition was that it was a two-way process – i.e. that the leaders were actually learning too and didn’t have all the answers. The personal development journey stories were truly inspirational. This got me thinking about how we can engage with more businesses to promote alternative business models, and encourage them to adopt these models to create significant social value. We seem to have forgotten the lessons of the past. I was recently listening to a critique of the way that business schools ‘teach’ business. It is very one dimensional and tends to focus on wealth creation for shareholders, which is self-perpetuating. The World Inequality Report 2018 stated that ‘economic inequality is largely driven by the unequal ownership of capital’. In this model, the wages are driven down as a means to create greater wealth further up the ladder with fewer and fewer companies in control as efficiency becomes the main driver. In my view, we need to go back to the models of business ownership that value the wealth creators (i.e. the workers), including social enterprise, community businesses, co-operatives etc. I am encouraged and proud of the work of our university Mark holders in this area. They are firmly of the belief that the education they provide is about creating social added value, and in many ways challenging the status quo of typical business school approaches, by highlighting different ways of doing business, as well as trying to tackle some of the challenges that inequality presents in their local communities. I was very pleased to see a recent report published by the University of Winchester (which holds the Social Enterprise Gold Mark), showing that the university contributes over £266 million a year to the regional business community. Our network of social enterprise universities also want to do more work in framing what a ‘good’ university looks like. Our friend Phil Hope (who facilitated several sessions at the conference) also raised a few interesting questions following the event, one of which was how can we help more organisations convert to a model of business that is not all about maximising shareholder profit and power, in a stock market that will punish them if they do? This is where I think the BCorp model has most value. Erinch also highlighted examples of producers being represented at Board level, as well as the El Puente model in Germany, which gives equal stake to founders, customers, producers and employees. Perhaps the true partnership/co-learning approach taken by Partners for Possibility could be a way forward in engaging with more big businesses? 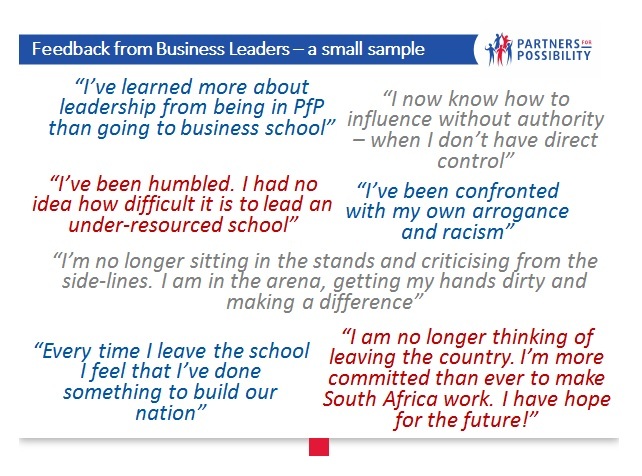 Louise explained how it was the impact that the programme has on business leaders that was most exciting, as they become actively engaged in addressing pressing social challenges to build their nation. There are no easy solutions to the problems caused by growing levels of inequality, but I am buoyed by the fact that the graduates that I talk to certainly seem to be engaged with the social change agenda and how business can be a force for good. Much research enforces this view, e.g. a recent HBSC global survey found that one in four young entrepreneurs (aged under 35) said they were more motivated by social impact than by moneymaking (compared to just one in 10 of those aged over 55). 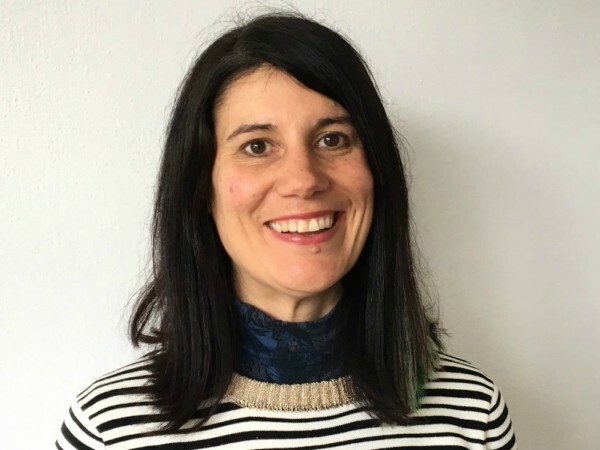 The increasing interest that women are taking in business is also encouraging, as Heidi Fisher highlighted in her session at the conference, referring to the fact that women tend to be motivated by more than just the financial bottom line. Although I have highlighted some potential solutions and some positives, we really do need to think about how we can make our message clearer and more attractive. Too few people know about the fact that business can be about more than what’s shown on Dragon’s Den or The Apprentice. In the short to medium term we need better alliances rather than fighting with each other over nuance. You may think that is a weird thing for the leader of an accreditation body to come out with (?! ), but we need to recognise our differences and work together for the common good. 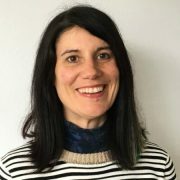 If you are interested in finding out more about our accreditation services, please contact Rachel Fell or call 0345 504 6536.
https://www.socialenterprisemark.org.uk/wp-content/uploads/2018/04/Lucy-Findlay_2018_web.jpg 450 600 Sophie Short https://www.socialenterprisemark.org.uk/wp-content/uploads/2016/06/sem-logo-new-300x121.jpg Sophie Short2018-06-19 09:14:132018-06-21 08:15:55An inequality crisis – how do we spread the wealth?